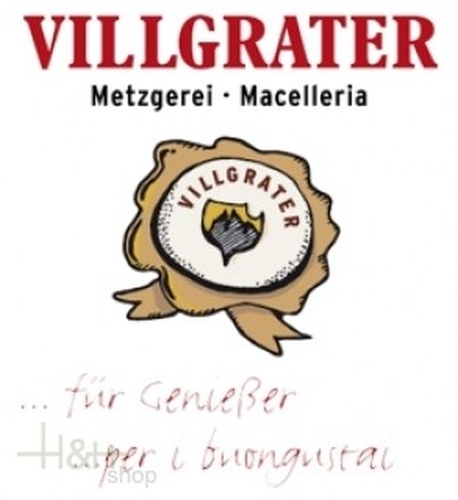 Pustertaler salami smoked Villgrater approx. 350 gr. The Pustertaler salamis smoked Villgrater is produced of beef and pork, the structure easily graind, mildly smoked, spiced with fresh mountain herbs, afterwards is dried for several weeks. Buy now this product together with Sextner farmer salami Villgrater approx. 350 gr. Sextner farmer salami Villgrater approx. 350 gr. ready for shipment: in stock Sextner farmer salami Villgrater approx. 350 gr. Buy now this product together with Smoked farmer sausages Sarntal L. Moser 3 pc. - approx. 150 gr. Smoked farmer sausages Sarntal L. Moser 3 pc. - approx. 150 gr. ready for shipment: in stock Smoked farmer sausages Sarntal L. Moser 3 pc. - approx. 150 gr. The sweet cream for our butter is won of milk High Puster Valley mountain farms. Genuine, aromatic, tasteful milk. Then we make our butter it. Naturally golden brown, spreadable and extremely soft. It's taste is fresh, creamy and mild. Amber honey of more or less clear shades depending on the place of collection; suitable for the preparation of desserts and puddings. It goes well with meat and fish in sauce. Würstel Dumpling sausage 2 pieces vac. Villgrater approx. 280 gr. Dumpling sausage - pork and beef, roughly ground, natural bowel, smoked. To 2 pieces vacuum-packed, weight approx. 280 gr. The food was amazingly good and tasty. We will order more! SALAME COMPATTO E MOLTO SAPORITO. Grana grossa ma all\'interno risulta magro. Gusto inconfondibile spalmato sul pane fresco è una vera delizia. Provatelo. 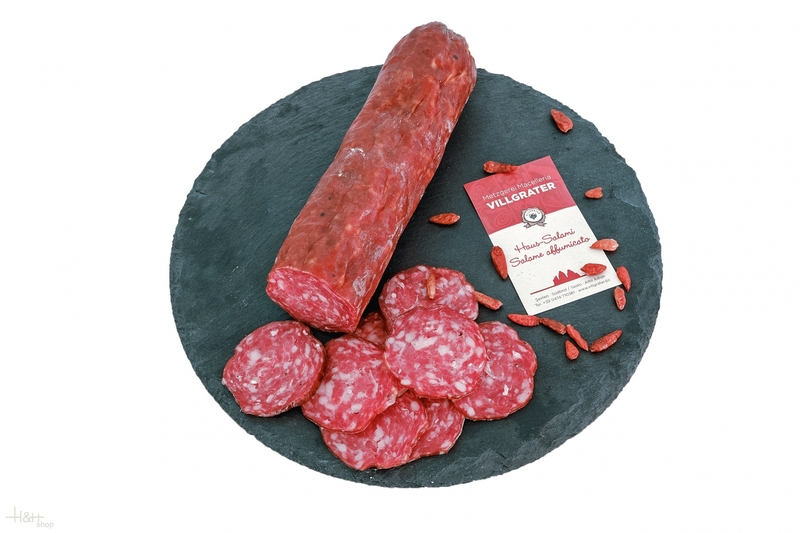 Hunter's Salamini Val di Non appr. 220 gr. - Kofler Speck 5,25 EUR / 2,39 €/100 gr. Smoked Sausages Kaminwurzen Steiner 3 pieces - app. 240 gr. 6,25 EUR / 2,60 €/100 gr. Mini Smoked Sausages "Kaminwurzen" Senfter 2 pc. - 125 gr. 3,70 EUR / 2,96 €/100 gr. Würstel Merano Villgrater 2 pc. ca. 220 gr. 3,80 EUR / 1,73 €/100 gr. South Tyrolean witch's sausage Gruber approx. 125 gr. 4,30 EUR / 3,44 €/100 gr.